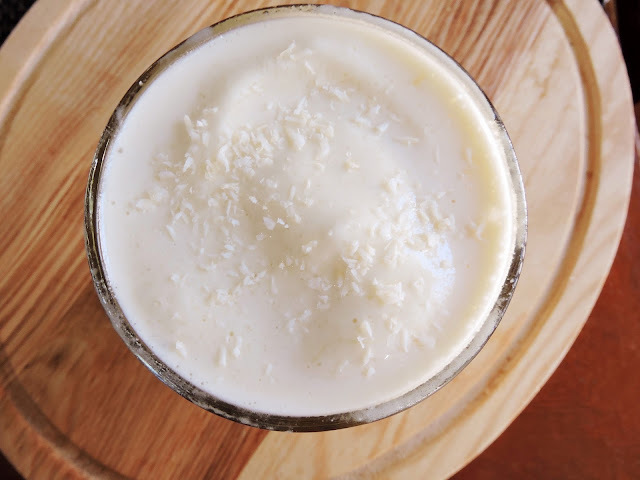 I whipped up this protein shake for Dathan & I post-workout today, and then ran here to the blog to get it up for you guys. 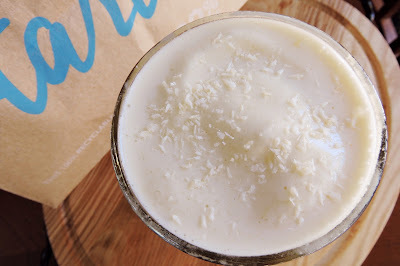 Pineapple & coconut is one of my favorite flavor combos out there... especially in the summertime! But, since fall is about to hit, and "Pumpkin Spice Everything" will rule the world... I figured I'd better hurry! Give this a try before summer comes to an end. It's thick, creamy, delicious, & easy! Enjoy! Place each ingredient in a blender or Magic Bullet, in the order listed (just hold the shredded coconut). Pour in enough coconut water to cover the solid ingredients. Top with a pinch of shredded coconut, if you're feelin' fancy.